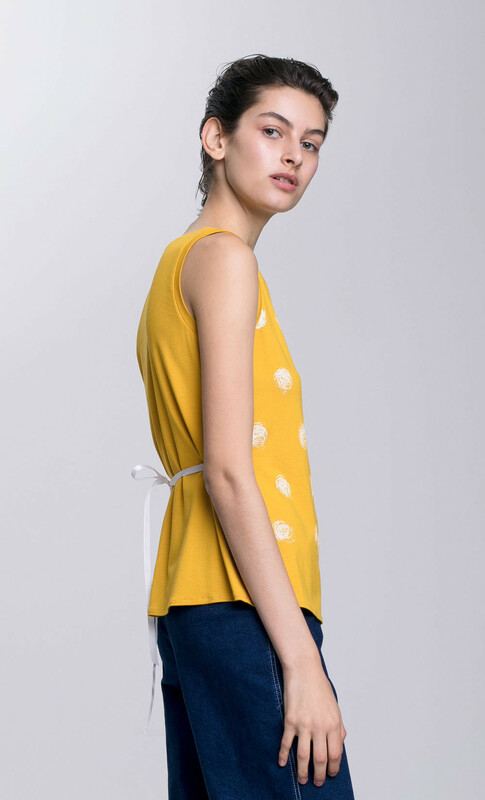 This top features hand drawn polka dots. For a more defined silhouette, fasten the rib lace on the back in a chic bow. Pair it with the brand’s signature denim pants to enhance the shirt’s casual elegance.